Item # 316291 Stash Points: 4,995 (?) This is the number of points you get in The Zumiez Stash for purchasing this item. Stash points are redeemable for exclusive rewards only available to Zumiez Stash members. To redeem your points check out the rewards catalog on thestash.zumiez.com. 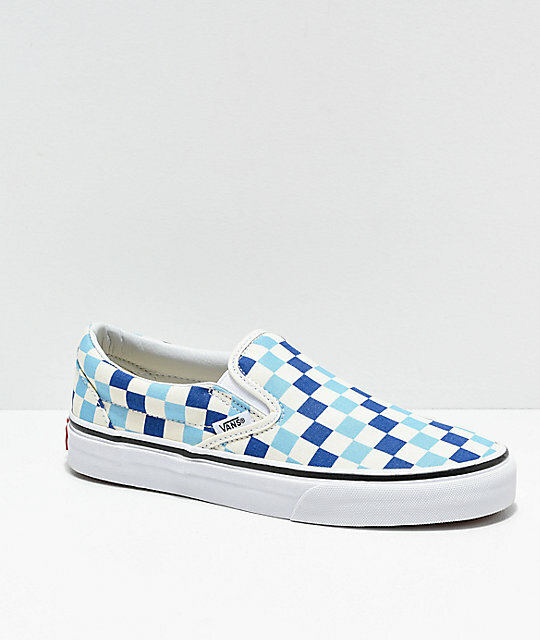 Having undergone many reinterpretations and iconic designs, Vans signature Slip-On Skate Shoes hit shelves once again this season in an all-new blue, topaz and white checkered canvas composition. 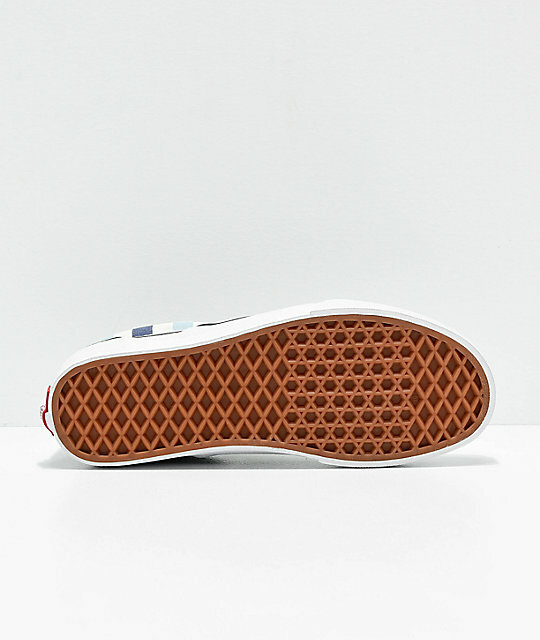 Featured with a tri-toned checkered print pattern across the canvas upper that sits upon the brand's classic waffle treaded outsole, these skate shoes offer a retro touch to any look. 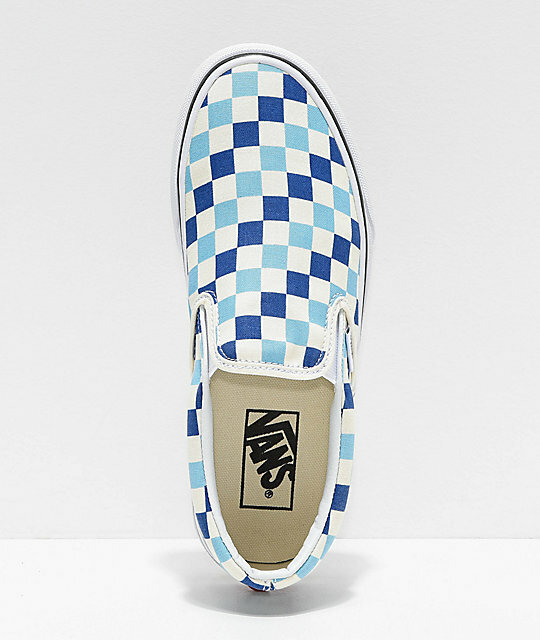 Slip-On Blue, Topaz and White Checkered Skate Shoes from Vans. 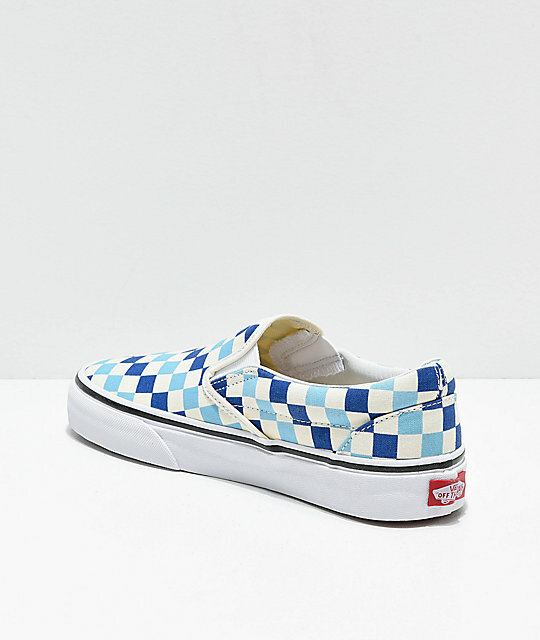 Canvas upper with light blue, dark blue and white checkered print pattern.